Sahara Sunrise – Do your dream! 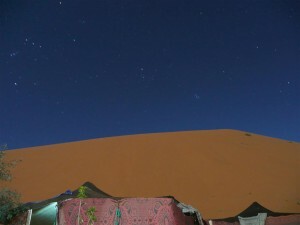 Just left the Sahara dunes, and here are a couple of pictures from an overnight camel trek to a Berber camp and then watching the sun rise over the desert. Simply stunning – no other words for it – well, maybe Magical and Special would also do. Lovely…. More photos can be seen HERE if you are interested. 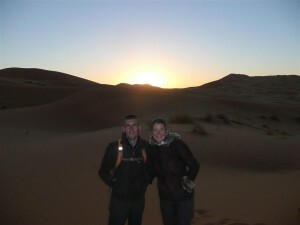 ← Week 13 diary uploaded – in Morocco!